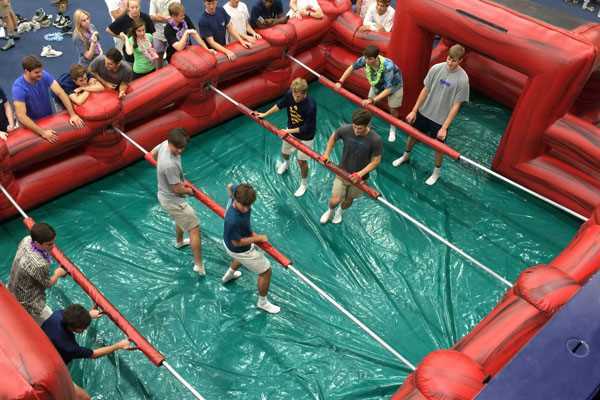 Human Foosball is a fun sport which is gaining increasing notoriety for family outings, Building teamwork, or just kicking back with some friends after work. 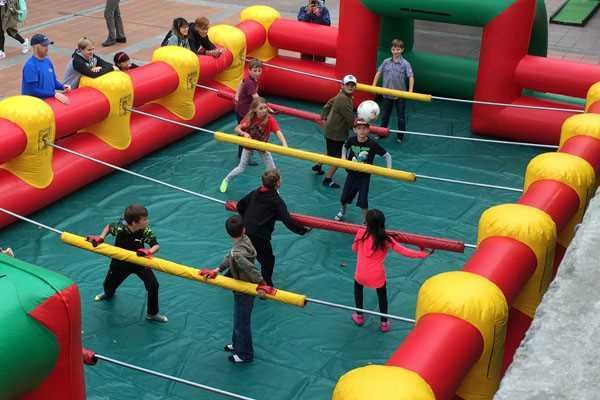 It’s the same thing as regular foosball, but life-sized! The field is about 32 feet long and 16 feet wide, with rods stretching across the field. The Players (us humans) hold on to the rods in set positions. The customization of how many People can play varies, especially if you’re building your own, but it generally follows the Table game pretty closely.For a fun game you probably need at least 6 people, and at maximum, around 10. Was it the brainchild of a famous engineer? Was it a natural progression from foosball into a Fantastic re-sized game? Nobody really knows, but one thing is for sure; each game you play creates its part of history for this awesome game @ PF. Maximum of 10 Players for a game.